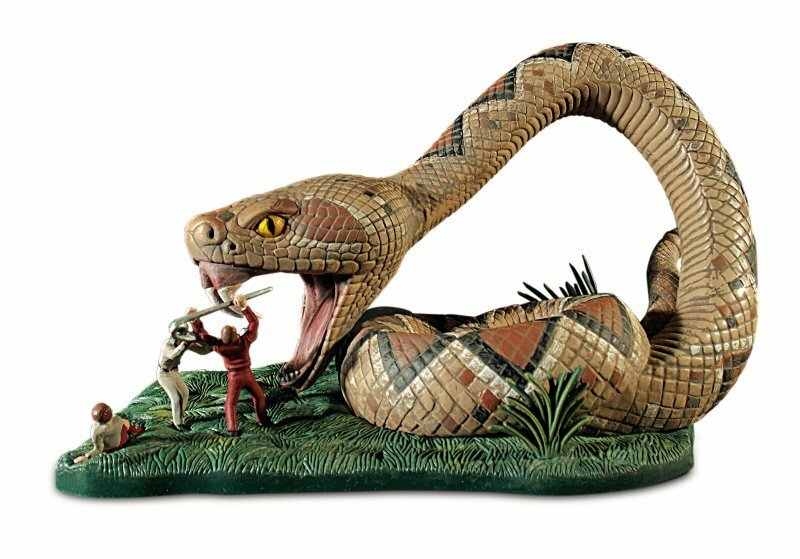 Doll and Hobby Georgia is excited to announce our first kit, the Land of the Gaints Snake Diorama. This classic kit was originally produced by Aurora in 1968, and later reissued by Polar Lights. 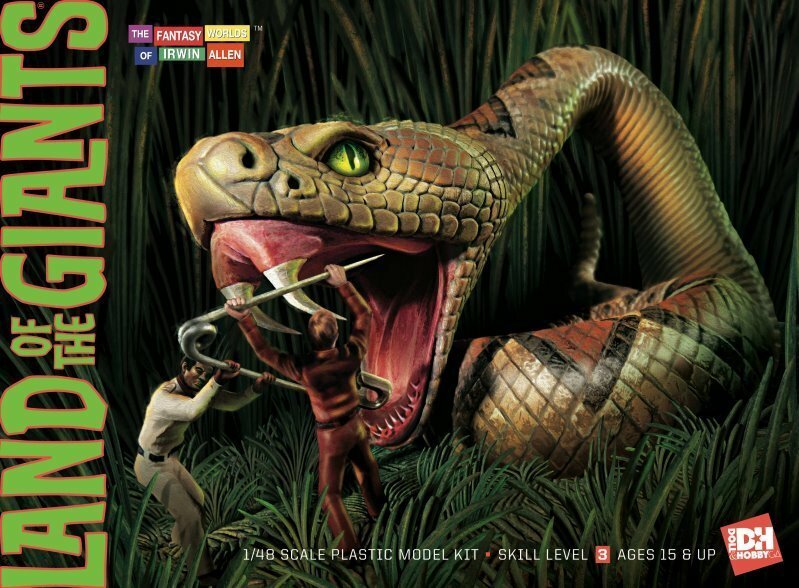 Our release features new box art and will include a two sided backdrop to display with your model. Retailers should contact their hobby distributor or order directly from Doll and Hobby Georgia. Doll & Hobby proudly presents the first in a series of classic model kits based on properties from The Fantasy Worlds of Irwin Allen™! 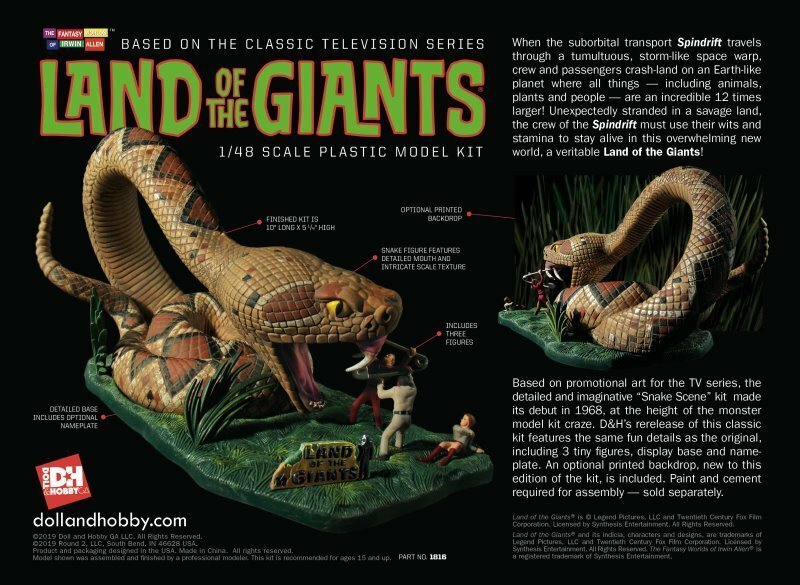 Inspired by promotional art for the Land of the Giants®TV series, the detailed and imaginative “Snake Scene” kit made its debut in 1968, at the height of the monster model kit craze. D&H’s rerelease of this classic kit features the same fun details as the original, including tiny figures of Captain Steve Burton, co-pilot Dan Erickson and flight attendant Betty Hamilton. Kit also includes display base and nameplate. An optional full-color printed backdrop, new to this edition of the kit, is included. Paint and cement required for assembly — sold separately. When the suborbital transport Spindrift travels through a tumultuous, storm-like space warp, crew and passengers crash-land on an Earth-like planet where all things — including animals, plants and people — are an incredible 12 times larger! Unexpectedly stranded in a savage land, the crew of the Spindrift must use their wits and stamina to stay alive in this overwhelming new world, a veritable Land of the Giants®! 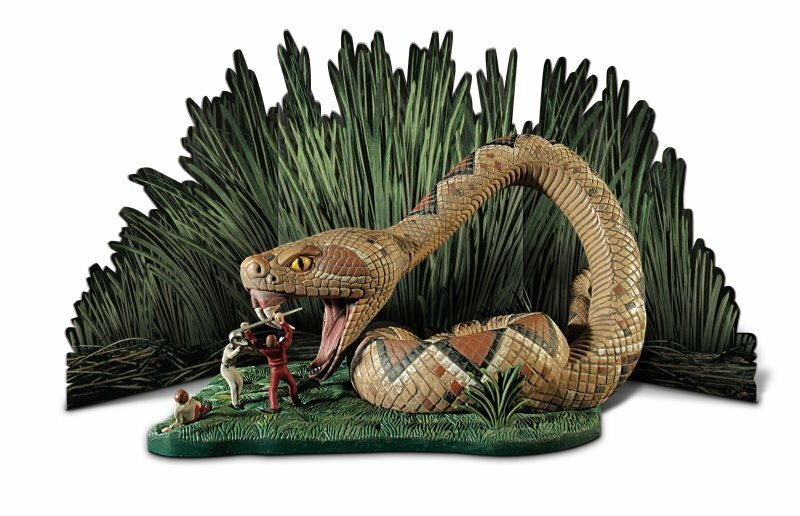 Doll & Hobby, GA is a specialized hobby distributor focusing on science fiction, fantasy and comic-related model kits. 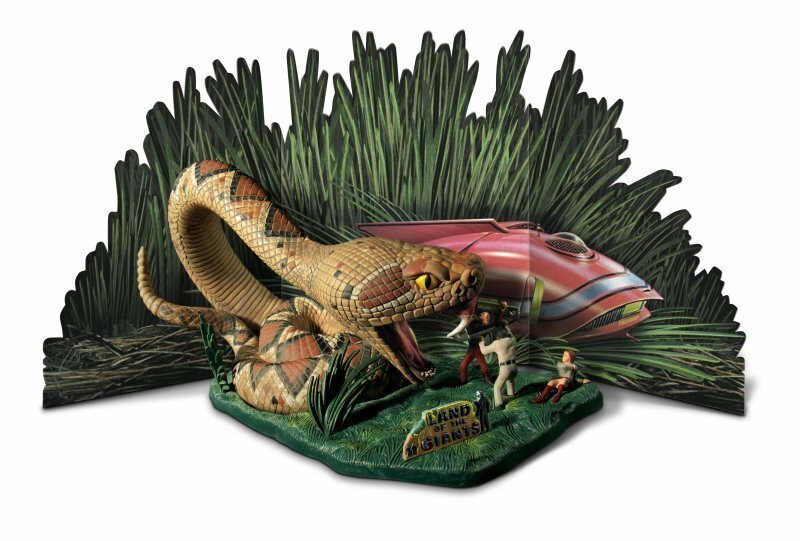 D&H carries the latest releases from Moebius Models, Round 2 (AMT, Polar Lights, MPC, Lindberg) and more, with a focus on sci-fi properties — such as Star Trek, 2001: A Space Odyssey, Space 1999 and Lost in Space® — as well as subjects like classic monsters and comic book heroes. Doll & Hobby’s warehouse is located in Lawrenceville, GA, just east of Atlanta. Land of the Giants® is © Legend Pictures, LLC and Twentieth Century Fox Film Corporation. Licensed by Synthesis Entertainment. All Rights Reserved. 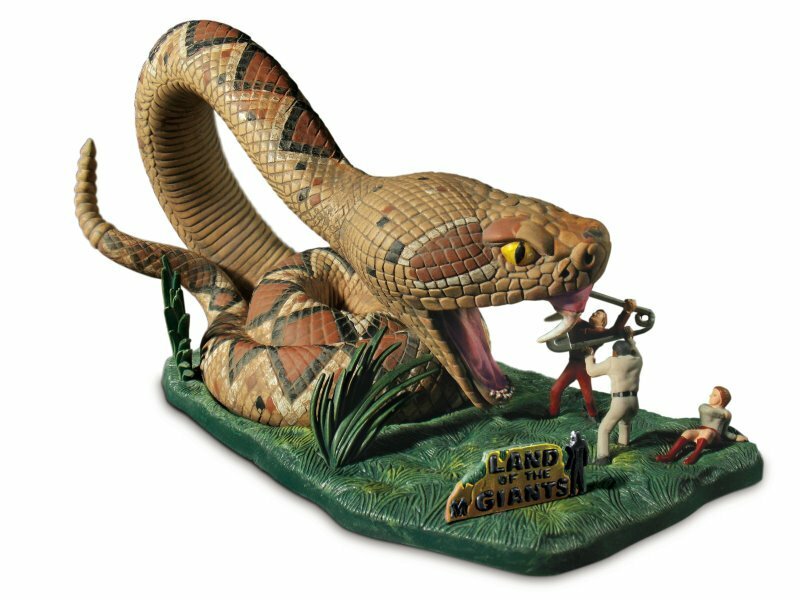 Land of the Giants® and its indicia, characters and designs, are trademarks of Legend Pictures, LLC and Twentieth Century Fox Film Corporation. Licensed by Synthesis Entertainment. All Rights Reserved. The Fantasy Worlds of Irwin Allen® is a registered trademark of Synthesis Entertainment. ©2019 Doll and Hobby GA LLC. All Rights Reserved. Product made and printed in China. Pricing and release date subject to change. Doll and Hobby GA is a specialized hobby distributor focusing on science fiction, fantasy, and comic related model kits. We carry the latest releases from Moebius Models, Round 2 (AMT, Polar Lights, MPC, Lindberg) and more. We focus on subjects like Star Trek, 2001, Space 1999, classic monsters, and comic book heroes. Our warehouse is located in Lawrenceville, GA, just east of Atlanta. Please feel free to contact us if you are interested in setting up an account. Our email is info@dollandhobby.com or you may call at 678-825-2673. Please let us know a good time to contact you. Once we are fully operating out of the new warehouse, we will have standard office hours. Doll and Hobby GA is a specialized hobby distributor with a focus on science fiction, fantasy, and comic related model kits.